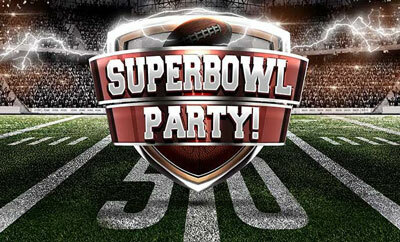 You don’t have to like the teams playing in the Super Bowl, but you can always enjoy a great party and great food! So here are some great recipes that will be sure to please the crowd! Pulled-pork sliders, little barbecue-ish sandwiches with sweet jalapeño-spiked pickles, and a bacon-potato salad. Food that’s as filling as you want it to be, because those games can go on (and on). Plus, a dessert that’s fun and not fussy: ice cream sandwiches — easy to make and even easier to eat. With a spread like this, I could surely become a football fan. Mix ground mustard, smoked paprika, salt, pepper and brown sugar in a bowl, then press all over the pork shoulder and place in a glass baking dish. Cover and refrigerate for an hour or two, or overnight. Heat oven to 300 degrees. Cook pork for 4 to 5 hours, or until the pork is tender and pulls apart easily. While the pork is still warm, shred it with a fork. Make the barbecue sauce: Put all ingredients in a saucepan and let cook for 10 minutes, stirring until all of the sugar has dissolved. Pour some of the sauce over the shredded pork and toss until well covered. To serve, fill the slider buns with pork and top with sweet jalapeño-spiked pickles. Serve the rest of the sauce on the side. Note: If you’ve made this in advance, to reheat the meat, simply place in a glass dish, cover with foil and warm through in a 200-degree oven for 30 minutes or so. Mix together pickles, jalapeños and sugar. Refrigerate overnight. Serve with pulled-pork sliders. Heat potatoes in a large pot with salted water. When it reaches a boil, turn down heat and let simmer 15 to 20 minutes or just until tender. Roughly smash them, with a hand masher or fork, making sure to leave large pieces. Whisk together flour, cocoa, baking soda and salt, and set aside. In a stand mixer, cream butter and sugars until fluffy. Add eggs one at a time, beating a minute or so between each addition. Add flour-cocoa mixture, mixing just until it comes together. Refrigerate dough for 2 hours, or until firm. Place racks in the top and bottom thirds of the oven and preheat to 350 degrees. Line two baking sheets with parchment paper and scoop out 2-inch balls of dough, leaving 3 inches between them. Flatten the dough with your hand so each ball is a ½-inch-thick disc. Bake both sheets (on top and bottom racks) for 5 minutes, then switch them, making sure to rotate the pans, too. Bake for another 5 to 6 minutes, or until the cookies are slightly cracked on the surface and feel dry and slightly firm in the middle — you’re going for a flat cookie. Cool for a minute on the baking sheet, then transfer to a rack. Let cool completely and store in an airtight container. To make the sandwiches, let ice cream soften so it will spread easily. Then spread about a scoopful on each cookie and top with another cookie. As you assemble these, put them in a large plastic zip-top bag and place them in the freezer. The ice cream sandwiches need to freeze for at least 2 hours before serving. Note: You may freeze the cookie dough to make sandwiches later. Simply scoop dough balls and place in a zip-top bag. When you’re ready to bake, let them warm up a bit so you can press down the dough (per instructions). On another note, if your home is just too small for those Super Bowl parties, call us at the Stacey Feltman Group, we make Realty Dreams a Reality! If you are searching for a Realtor in the North Dallas area, I can't recommend Stacey enough. As a Loan Officer, I have worked with many different Realtors, but I have yet to work with somebody that works as hard, and is more dedicated to serving her clients than Stacey. It was her work ethic, obvious drive and proven track record that led me to using her myself to sell my home, and help me find our next home as well. You can't go wrong using Stacey if you are buying or selling in this area.